Not surprisingly, I am not the only one to whom Guinevere is a cipher. In her intensely-researched and aptly-titled book Guinevere – A Medieval Puzzle, Ulrike Bethlehem studies fifty-six Arthurian stories in both English and French to see if there is a true and consistent Guinevere in the Anglo-French tradition. The short answer? No. But Bethlehem comes to some pretty interesting conclusions in this epic study. In early French Arthurian stories, Bethlehem has found, Guinevere is a maternal figure, above the court instead of entrenched within its politics and scandals. That is, she points out, until “the troubadour concept of courtly love wreaks havoc with conventional morality” (p.410). As courtly love flourishes in the French courts, especially that of Marie de Champagne, so Guinevere’s adulterous romance with Lancelot is introduced and flourishes within the Arthurian stories of the day. When that tide ebbs and interest in the Grail quest narrative flows, Guinevere regains some morality – or at least, her adultery is seen in a “consequently lenient” (p.410) regard. Bethlehem notes that this creates a splitting of French Guinevere narratives into those in which the authors “avoid incriminating elements” (p.410) in favour of a faithful queen (in all senses of the word), and those in which Guinevere’s adultery “leads to destruction” (p.410-411). Overall, Bethlehem concludes, “the French romances encompass a literary character fashioned according to contemporary taste and judged as such from an external, detached stance” (p.411). What makes this so interesting is that, for the English, Guinevere is anything but a trendy literary device: she is their literary queen of queens. It is definitely understandable that, as tensions grew between the two nations, the English would be concerned with making a British queen as faultless as humanly possible. In fact, the further an author gets from France, the better Guinevere gets. The Arthurian stories from the north of England seem to be even more focused on humanizing Guinevere (calling her by her first name instead of title, for example) and redeeming her moral character, as adultery in these stories “is never connected with the queen” (pp. 395-398). 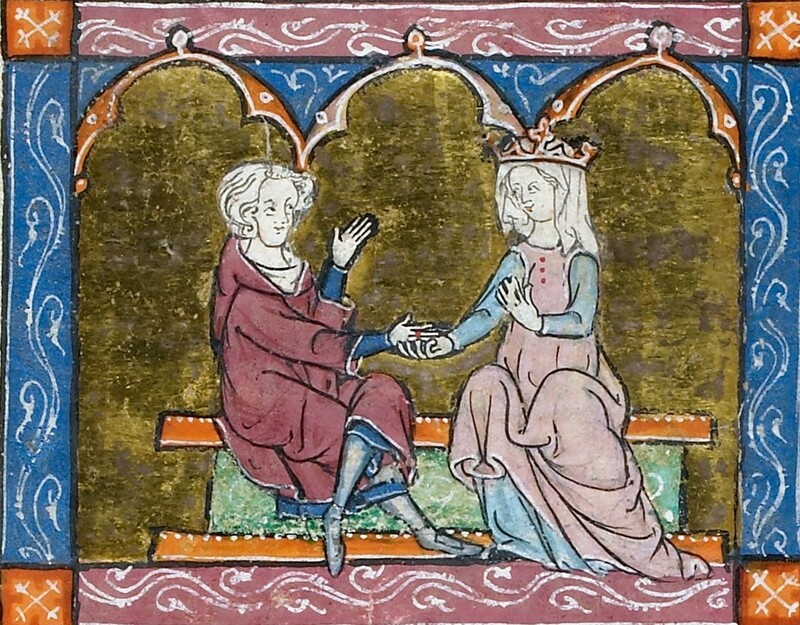 Keeping Guinevere clear of outright adultery is important to all the medieval English authors Bethlehem studies, and she rightly points out that Malory’s Morte Darthur is “the only English text to concede physical consummation of an adulterous relationship that is not against the will of the woman involved” (p.398). Even then, Malory tries to soften the nature of the sin by having Guinevere repent. In other words, the English authors’ treatment of Guinevere is anything but detached. Rather, how Guinevere both represents and is represented is an intensely personal matter. It is Guinevere’s nature as a reflection that makes her so singular as a character, according to Bethlehem, and I would have to agree. “There is a multitude of Guineveres,” she says, “and yet there is none” (p.411). Instead, Bethlehem concludes her study by comparing Guinevere to “a crystal ball which, colourless and tempting, will reflect colours and shapes from ever new backgrounds, spectators, and their minds.” (p.411). There is something both frustrating and freeing about being confronted with a character which so neatly defies all convention. Guinevere is both stainless and sinful; kind and cruel; the perfect ideal and the sum of all feudal fears. Whatever your feelings about Guinevere, there is at least one medieval story to support them. To continue your own search for Guinevere, check out Ulrike Bethlehem’s Guinevere – A Medieval Puzzle, or discover your own crystal queen in any one of her beautiful medieval romances.